Historic Resources - DELTA DEVELOPMENT GROUP, INC. 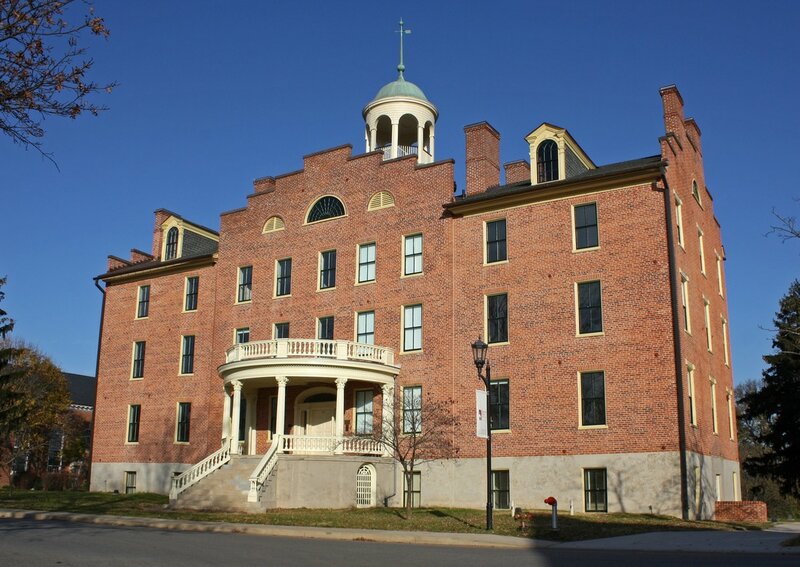 Constructed in 1832, Schmucker Hall is located on the campus of the Lutheran Theological Seminary at Gettysburg (LTSG), in Gettysburg, Adams County, Pennsylvania, and is individually listed on the NR. The rehabilitation of Schmucker Hall will provide a venue for a new state-of-the-art museum. The Part 2-Description of Rehabilitation Work application (Part 2) was approved by the NPS on August 22, 2011, with a single condition relating to archaeology due to the geothermal system being installed. The rehabilitation was completed in January 2013. As a result of Delta’s efforts, the LTSG received its Part 3-Request for Certification of Completed Work application (Part 3) on January 3, 2013. The exhibits were installed between January and June 2013, and the formal opening of the new “Voices of History Museum” was held on July 1, 2013, the 150th Anniversary of the first day of the Battle of Gettysburg. Originally constructed as a shoe factory in 1897, with additions in 1908 and 1911, this industrial building was operated as a shoe factory from 1897 to the early 1970s. It was then used as part of the Reading Outlet Center from 1974 to 2001. As its physical condition deteriorated, the roof collapsed onto the fifth and sixth floors. Delta was hired to prepare an NR nomination and RITC applications. This industrial building will be reused for mixed uses with retail and day care facilities on the first and second floors, and apartments on floors three through six. The Part 1 application was approved by the NPS on August 26, 2013, and the Part 2 application was approved with conditions by the NPS on September 5, 2013. The property was listed on NR on April 28, 2014. When construction was 65% complete, a two-alarm arson fire occurred on October 18, 2014, severely damaging the 2nd and 6th floors, and roof. The fire damaged fabric was removed, the structural system was reevaluated, and the project was completed in December 15, 2016 and received NPS Part 3 approval. 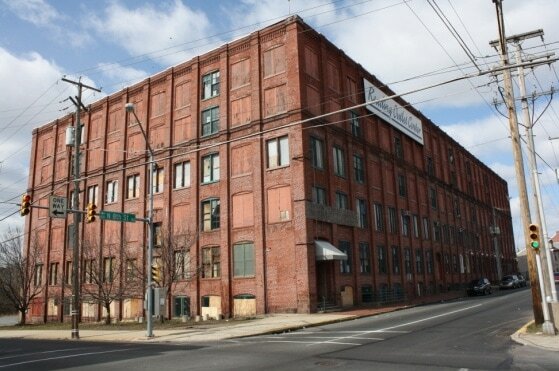 The project also received a reservation of Pennsylvania Historic Preservation Tax Credits. Delta was hired to prepare an NR nomination and a phased RITC application in order for the current owners to market the property for future use and to repair the roof. At one point, the Stehli Silk Mill was the largest silk fabric manufacturer in the United States. Working with national designers, Stehli’s marketing department created their “Americana Series” of Art Deco fabric prints from 1925 to 1929. A draft of the NR nomination was submitted to PHMC in September 2013, the nomination was presented to the Board in February 2014, and the building was listed on April 29, 2014.
presented to the board in February 2014 and was listed on the NR on April 28, 2014.
environmental contamination of remaining land, resulted in a large number of the contributing buildings being demolished. In December 2001, Susquehanna Area Regional Airport Authority (SARAA) entered into a Memorandum of Agreement (MOA) to mitigate the adverse effects of the demolition. As a result of the extensive demolition, Delta was hired to update the Determination of Eligibility (DOE) in order to determine that the district was no longer eligible for the NR. On May 9, 2012, the Pennsylvania Historical & Museum Commission (PHMC) determined that the Middletown Air Depot Historic District was no longer eligible for listing in the NR. Delta was subsequently hired to prepare an Amendment to the MOA concluding that all the stipulations in the MOA had been met. The Amendment was signed by all the consulting parties and a conclusion was reached on February 7, 2013.